Aspergers is an autism spectrum disorder (ASD), and is now referred to as "high-functioning autism" in the U.S. It is distinguished by a pattern of symptoms rather than a single symptom, and is characterized by (a) qualitative impairment in social interaction, (b) stereotyped and restricted patterns of behavior, activities and interests, and (c) no clinically significant delay in cognitive development or general delay in language. Intense preoccupation with a narrow subject, one-sided verbosity, restricted prosody, and physical clumsiness are typical of the condition, but are not required for diagnosis. The lack of demonstrated empathy is possibly the most dysfunctional aspect of Aspergers. People with Aspergers experience difficulties in basic elements of social interaction, which may include a failure to develop friendships or to seek shared enjoyments or achievements with others, a lack of social or emotional reciprocity, and impaired nonverbal behaviors in areas such as eye contact, facial expression, posture, and gesture. “The realization that my child was lacking the feeling of empathy gradually came to me when he was between the ages of 2 and 4. I had a vague idea someplace in the back of my mind that a part of my child's difficulties with coping in the world around him had something to do with the reality that he did not seem to really feel his emotions apart from experiencing anger and sadness. Even if I said that he was happy, he could not agree with me proclaiming that just because he was poking fun at something did not mean that he was happy. As a young child, he totally couldn't cope with his 8 month old sibling crying whenever he fell down, bumped his head or pinched a finger. My child asked the most perplexing questions like "why is that baby shouting?" …"why is he doing that?" …and, my personal favorite …"can't we take that loud baby back to the store and get a new one?" I patiently spelled out many times that after an infant injures himself, he or she whines until the discomfort stops but my child continued to be convinced that this infant made that racket simply to irritate him. When my child was 4, it started to be clear to me that he was not able to empathize. I had come down with an especially awful flu virus and passed out on the family room floor in the center of a game that I was playing with the children. When I came to, my younger child was patting my cheek and saying "Mommy, what's wrong? ", while my older child had a meltdown because I had stopped playing! Actually, after my hubby raced me to the hospital, children in tow, my Aspergers child continued to be upset with me for interrupting "his" game. Soon after that, I had a summary of feelings stuck on the refrigerator in big letters and spent part of everyday hoping to get him to comprehend his emotions and the emotions of other people. He came to hate the "face game" when I put a collection of catalogues in front of him and asked him to cut out all of the faces that matched up the list of feelings. Since I did not know back then that he had Aspergers, I'm not completely sure I approached this issue in the best way. 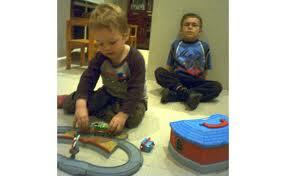 Aspergers individuals have difficult reading body language (i.e., non-verbal communication). This reduced ability to read body language means less displays of empathy; however, in this case, "empathy" is used in the sense of mimicry of emotions. There is a natural tendency of people to mimic others in their behavior. So if one person laughs, it is more likely that other people within earshot will laugh too. The same occurs with sadness. Empathy comes to play because sadness is not just tears but an entire set of circumstances. So what happens is that the Aspergers individual is seen as responding inappropriately to other’s emotions. That's because he/she is not connecting through body language. So in a very real sense, the person with Aspergers is less empathetic. One would not expect an Aspie to respond to body language just as you would not expect a deaf person to respond to your voice. Does this mean that people with Aspergers have no feelings? No. In the commonly understood sense, Aspies have feelings like anyone else. If you don't know about an event, you have no feelings about it. So to use a rather strange example here, you would have no worries about running over an invisible man. There are people and events we know about only by reading about them or by hearing the stories. Just like people without Aspergers, Aspies have empathy with people they read about. Many people with Aspergers have the ability to feel empathy (some more so than others, some maybe not so much). Aspergers is not the same for each and every person who has it. However, the blanket statement that people with Aspergers lack empathy is not all that accurate. It is a statement without explanation –a statement, black-and-white as it is, that doesn’t take into account each person’s individuality, and the reality that others can feel more than you can know. This is especially true when much that can be felt by those with Aspergers is not met with the same need for expression as it is for those without Aspergers. A groundbreaking study suggests people with Aspergers do not lack empathy – rather, they feel other’s emotions too intensely to cope. Thus, the “lack of empathy issue” may have more to do with “sensitivity to stimuli” than an inability to put oneself in someone else’s shoes. knew there was something interesting about him from the time he was a small baby. Aspergers. The child development specialist said it wasn't when he was 5--but I knew. subjects that really happen in life while not thinking about it. Again, thank you. most everyday with arguments, insults, and more insults. At school, Isaiah is a model student===at home it's completely the opposite. 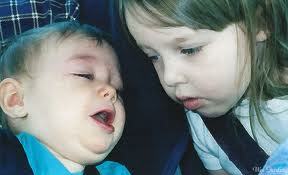 I talked several times with both boys--individually about aspergers and why he is acting this way. Most of all I've tried to give them strategies that work to diffuse meltdowns. The best thing that seems to work most of the time is keeping a calm voice and telling him that we'll talk about this later when he's calm. He'll try like anything to keep it going, but if there's no response, he stops. When he's calm and I bring up the issue, he can talk more rationally. I've tried to help them know the difference between arguing and a meltdown and the relationship of misunderstanding of social stuff and insults. Ethan gets it, Alex doesn't. Alex is targeted more and he also shares a room with Isaiah. Alex is the kind of person who seems to have to have the last word--and be right. He is seriously being bullied by Isaiah and I'm not sure what to do anymore. He's 6 ft tall and a big boy. He does get mildly violent--trips as Alex walks by, shoves, grabs things, and lots of "accidental" hits, etc. I've used a few behavior charts--but they get too complicated and Isaiah loses focus on them. The one a sped teacher used with green/yellow/red dots worked the best. His desired activites are earned--(even birthday and Christmas gifts) yard sales, weekly drink from Cumbies, buying books and comics from internet, Friday trip to the comic book store. I may have had too many behaviors on it at once. So what can I do to help my other sons? I've looked in the area for a siblings support program--and the ones that I found went up to age 12. Our family believes in God and goes to a good, well rounded christian church. The boys go to the youth group (Revive) and do many activities with them. Having a faith/belief in God has given Isaiah a deep rooted sense of right and wrong. It's modeled with almost the same language and actions by many of the people he's around. Last October, Isaiah went to a big teen event in MA with the youth group for a weekend. I was amazed---and proud!! There were over 5,000 teens there and he did excellent. He now looks forward to Revive and seeing his new friends. He's appropriately behaved there--and never insults his brothers. I work in the public school system as an ed tech in special education in ME. I've been a regular ed teacher for 15 years in VT--in preschool-grades 2. I have 2 years ed tech experience at the high school level. I work with a few people who have excellent knowledge/experience in Autism--so I have support at hand. My husband hasn't been diagnosed with aspergers, but I know he has it, too. He and Isaiah are alot a like yet different, too. How do adults get diagnosed and is it worth it at age 46? Thanks for listening--and any advice on helping aspies siblings would be greatly appreciated. Fantastic newsletter, thanks, I could relate to the content on so many levels! My name is _____, father of a child with Asperger's. Saw your coaching profile and noticed you were from OH. We just moved back to Texas from Cincinnati this past June. We lived there for 3 years. I am contacting you to inquire about the handbook video on your YouTube video and wondering if it is still available for purchase? If so, how may I do so? I think your enthusiasm for helping the education and awareness of Asperger's is great. I'd like to offer you assistance in any way I can. My background is in branding/marketing with extensive work with online strategy (web design, development and strategy). My intent is not to sell you an elevator speech, but to offer my help if you need it. Thanks for what you do. I too am committing my life to the advancement of this cause. I plan to apply my MBA from Xavier University and BFA from Texas State University in communication design to help this movement. We need all the help we can get. I just saw your YouTube video and would love to buy a copy to help in my journey as an Aspie parent. I was just telling a friend of mine that my son does have empathy, especially when he is watching a movie with a sad scene or when it comes to a family member saying they feel sad, he will cry for that individual. He does not show this often especially around people he doesn't know or are only aquainted with. I believe you are correct in the sense that Aspies are empathetic but are so overwhelmed by it they will go into defense or surivial mode and shut down because it's too much for them to handle. I am teaching my son it's okay to get emotional and helping him have another outlet when he's in a public setting. If he's at school and he's in a situation that upsets him, I tell him to run laps or swing on the monkey bars or do something that will utilize his pressure points to help him release. It seems to work. He's only 11 so it's an awkward age for a boy. Thanks for this email it's an interesting subject. I love having an Aspie kid, he helps me learn in new ways. Thank you so much fot this newsletter. I'm amazed how I felt exactly the same as this mother. Once I fainted and when I recovered consciousness my son was still mad because we were arguing. It feels as if they are cruel but the're not. Deep inside they are good kids but filled with anger. I'm sure many mothers feel the same way. Have a grat day and thanks again. Thank you Mark for putting out these informative letters. I find it very helpful to learn more about Asperger children in general and I take what I learn and adapt it to my daughter. I am a mother of an 11 year old Asperger daughter. Just over two years ago we moved from the States to Sweden. I was very worried how my daughter would take this move. It was very tough on many levels but looking back it's been a good choice for our family. My daughter, my 6 year old son and myself didn't know any Swedish when we moved here, but my husband (their father) grew up here. It was so refreshing to see her succeed at the language! I was convinced my son would learn it faster since he was younger and he has an out going personality, but that was not the case. I'm still not sure how she picked up the language so fast but within 6-9 months she spoke nearly as well as the other Swedish students in her class. After a year and a half she was reading and comprehending Swedish better than most of her classmates. She is able to go to a mainstream school. Can you tell me why she can do so well with speaking, reading and understanding but still struggles so much with math. I would think math would come easy for Asperger children since it is concrete. Such as 2+2 is always = to 4. She seems to have her addition down and subtraction is painfully slow but multiplication just doesn't seem to stick, so understandably she is basically unable to do division. Many people tell me she just needs to memorize the multiplication facts. But I know there are other ways, although I'm not sure how to teach her those other ways. I'm confused why she can't just memorize them. Do you have any insight? I'll leave you with a thought, why does Spell Checker show that Asperger is misspelled? If you are interested I can share some way the Sweden and the States are different in the way they handle children with Aspergers, just let me know. I mst say I have registered and reviewed other Aspergers websites and received newsletters from others but yours is the absolute best. I learn something everytime I get one of your emails. I sent an email to you earlier this week introducing myself - but I'm afraid it probably went to spam. I just have the department of my university order the 'handbook' from your site. Thank you for all of this valuable information. I am a speech-language path and instructor at East Tennessee State University, with ASD as my special area of interest. Particularly school-age kids with diagnosis of High-functioning autism, Asperger, or PDD-NOS. I am so thankful to have come across your website. I sent the link to my parent support group here so they could benefit from the wealth of info and (especially) the positive way in which you present this info. I'd love to pick your brain sometime - should you ever had the free time. thanks for writing about this.Recently I had to go to the hospital for banging headache and my 24 yr old was over heard bt me.He kept saying Im not wasting my day going with you.He continued to saying go by yourself why do we have to take you.He alco continued to say well if we take you ee are dropping you off and leaving.My 7year old started to cry and said no we are staying with mommy she is sick,we are not leaving mommy there, she is sick and her head hurts.Well for years I did not get theraphy for my son I didnt have the money for expensive psych. services because my son did not qualify for the group psych serviced because he did not get medicaid.I would call every person listed on tje special needs service directory and they will take my sons name age and diagnose.They ask what insurence he had and I mention that I have private insurance they will say sorry we only take kids on medicaid.Well its 14 years and having a hard time managing these outburst and acting out angry and still not able to get the group or one to one counceling he needs in his community.I just dont know anymore and dont blame parents whose kids go and commit crimes devestating as some has, because of lack of governament or states locking kids out of proper social services whome only have or on the spectrum with mild neurological delays.I cant do it myself anymore and is physically ill and unable to doanything at all about it if he decides to follow the wrong influences because he is now older and not in my control.He is simply too big and lots more stronger than me.I am fed up and tired of asking for help and not getting any.If he does someting to society later in life everyone agency in Ny city needs to be blamed for turning me down from getting the counceling he needed as he was growing.I dont think its too late for my son to get the social counceling he needs.I am now too ill to get him to those services and simply too poor to afford it.I urge anyone to try and only give me good advice or even paid psych developmental counceling for my child.I dont want any quack priscription wielding psych councelor for my child.I want help that is appropiate for children on the Autism spectrum that is high functioning and educationally sound.